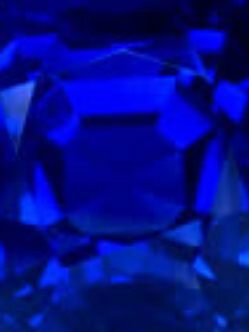 Probably the most precious and expensive blue sapphires on earth today are Kashmir Blue Sapphires. It will be very difficult to have one of those Kashmir Sapphires today, except you are a very-very rich man. 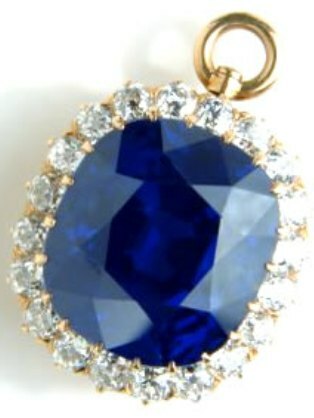 New Kashmir blue sapphires almost never discovered again for the last hundred years. The rare blue sapphires from Kashmir that now belonged to the museum and rich collectors was discovered more than hundred years ago. Kashmir sapphires have a superb cornflower blue color and beautifully arranged rutile inclusions called " velvet blue". This kind of Blue Sapphire has became a legend among gemstone collectors in the world. The very best Burmese and Ceylon blue sapphires are unable to defeat the great name of Kashmir Blue Sapphires. The extreme rarity gives these sapphires a fabulous popularity. The region of Kashmir is located a northwestern region of the Indian subcontinent, right within the valley between Pakistan and India. It was around 1880 the first Blue Sapphires were discovered in Kashmir . On 1882 until 1887 the gemstone mine on Kashmir was very prosperous. It unearthed good size and excellent quality of blue sapphire crystals. After 1887 until now, the people were hardly found any single good quality of blue sapphire.